Without pain and tooth grinding! ARE YOU TIRED OF LOOKING FOR YOUR DENTISTS IN KIEV UKRAINE, WHICH CAN BE TRUSTED? We are glad to welcome you on the website of professional dentists Lumi-Dent (Kiev, Obolon and Darnitskiy districts, the nearest metro stations are Poznyaky, Osokorki, Obolon, Minska). ✓ Are you shivering from just one type of dental chair? ✓ Do you want any treatment in dentistry in Ukraine, and even anesthesia, to be absolutely painless? ✓ Do you want to be treated qualitatively with the most modern technologies, with the best equipment, but at the same time that the price for services would be reasonable? ✓ Not accustomed to believing anyone for the word, but first you want to see - what will be the result? On the website of our network of Kiev dentistry - you will find a solution and get answers to all the above questions, you need only a little time to study important information and watch a number of videos. As well as self-confidence, good mood and well-being. You will no longer be ashamed to smile, be able to eat a juicy steak, and get pleasure from it. And all this you get absolutely no pain. Now let's get in order. 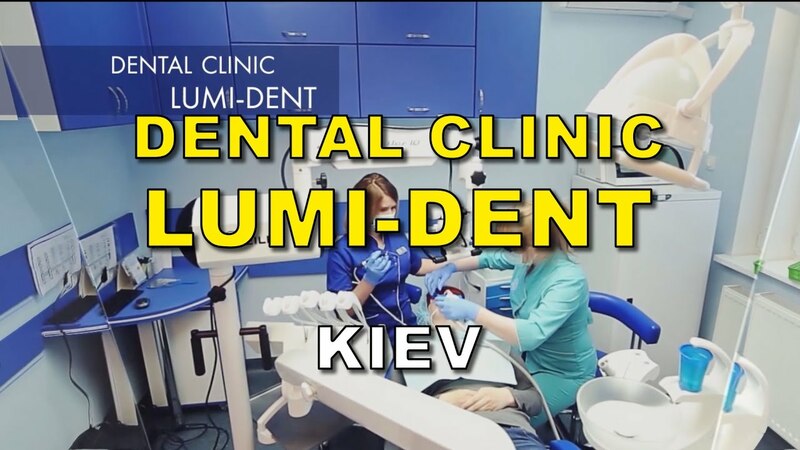 YOU ARE NOW ON THE OFFICIAL SITE OF THE PRIVATE NETWORK CITY PROFESSIONAL CHILDREN'S AND ADULT DENTISTRY "LUMI-DENT" (KIEV, RIGHT AND LEFT BANK, OBOLON' AND DARNITSKIY DISTRICT, COMING NEAR YOU, CLOSE TO THE POZNYAKY, OSOKORKY, KHARKIVSKYI, LEVOBEREZHNAYA, DARNITSA, CHERNIGOVSKAYA, OBOLON', MINSKAYA, HEROES OF DNEPR METRO STATIONS). We have created the best network of dental prosthetic dental clinics in Kiev from good dentists who are ready to provide reasonable professional services for dental treatment, manufacturing of prostheses, surgical dental implantation. Our private dental clinics (not state hospitals) are located in the Obolon' and Darnytskyi districts of the Right and Left Banks of Kiev, closest to the Obolon', Vinogradar, Poznyaky, Osokorky residential areas, close to Kharkovsky, Bereznyaky, Rusanovka, Darnitsya, Levoberezhnaya residential areas. Our network of dental clinics in Kiev is among the three largest private dental centers in the capital of Ukraine - it has 15 dental offices, including 4 implantological operating rooms, 3 X-ray rooms with computerized tomographs with cephalostats (with the possibility of receiving orthopantomograms, tomograms, telerogenograms), and radiovisiographs. X-ray rooms work for patients at our dental clinics, and for clients from other dental centers. We have our own ultramodern fully digital dental laboratory, which produces all kinds of top-quality dental prostheses. Thanks to our own laboratory - we have the opportunity to offer a very interesting price offer for the manufacture of all types of dentures. "Dentist and I" - few professionals fully understand the true meaning of these words. It is one of the best private dental clinics in Kiev for dental treatment. It has 4 separate operating rooms where teeth implantation, bone grafting, and other manipulations are legal under the control of digital X-rays. Extremely high in Ukraine - this is recognized by the leading suppliers of dental implants. Our implant centers occupy a leading position in the country in terms of the level and number of implantation operations performed. The surgery departments are equipped with all the necessary equipment for carrying out procedures under painless computer anesthesia, or in a state of medication sleep. 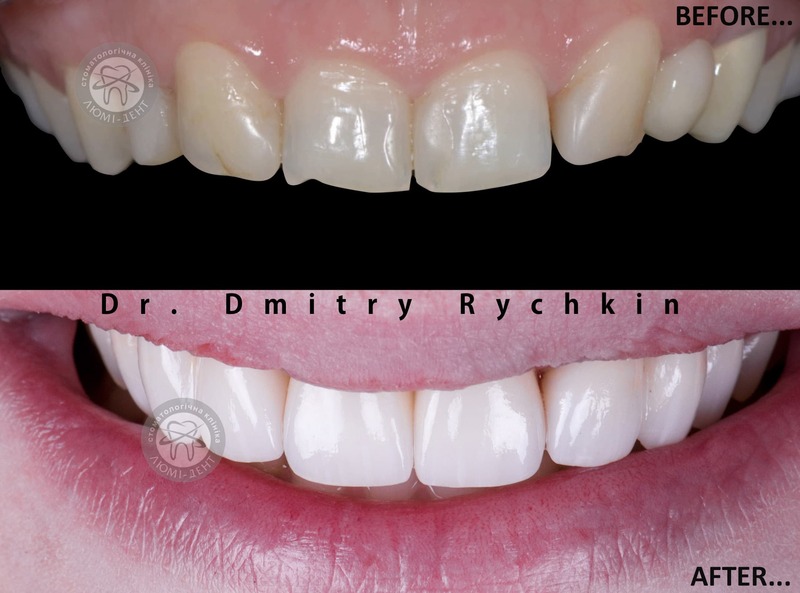 5 professional orthodontists of the polyclinic dentistry in Kiev Lumi-Dent correct the bite for adults and children with braces, plates, transparent caps. Consultation with the orthodontist in our dental clinics is free. Doctors of other specialties also have free consultations. 12 prosthetists (orthopedists) - will give you a dazzling white smile for life, with the help of ultra-thin veneers, installed without teeth turning. The best choice for technical equipment from all non-state city dental polyclinics of dentistry (clinics) next to you in Obolon', Poznyaky, Osokorky, close to the Vinogradar, Darnitsya, Levoberezhnaya, Rusanovka, Bereznyaky, Kharkivskyi residential areas - good doctors, dentists of our team use the newest dental technology, as well as the equipment of the best world companies. During the visit, you are guaranteed only positive emotions, communication with a polite doctor, absolutely painless treatment, and reasonable VIP class service. Our work takes into account more than 20 years of experience of our employees, which allows them to professionally apply advanced technologies on the latest generation dental equipment. porcelain veneers installed per year. dental implants installed per year. laser teeth whitenings per year. professional tooth cleanings per year. The team of dental clinics in Kiev is an associate member of the Ukrainian Dental Association. Our employees are regularly trained in the first dental clinics in Europe and America. Our urban children's and adult dentistry (Obolon', Osokorky, Poznyaky, Bereznyaky, Rusanovka, Kharkovsky, Darnitsa, Levoberezhnaya) - give you a lot more than just a treatment. Professional, attentive specialists will give for a long time a beautiful smile, good mood, positive life, love, respect of close people, colleagues, career success. A beautiful smile and healthy teeth should be affordable for everyone, which is confirmed by our prices. The cost of dental care services can be found on our official website on the page "Prices of dentistry". Reviews - text and video - you may see on the official website at the specified link. We openly also provide links to reputable medical sites where you may read independent customer opinions about our dental orthopedic centers. "Dentist and me" is really about us. It is extremely important to see the results of other patient's works before visiting the dentist. This information you may see on our website in the section "Our works". Phone numbers for recording are listed at the top of this page. It is enough to click on the crosses once to open phone numbers. Our private network of dental clinics in Kiev - the best choice for location close to you - is located at: Right and Left Bank, Obolon', Poznyaky, Osokorky - these are the best VIP dental clinics next to those living on Anna Akhmatova street, Revutskogo street, Dragomanova street, Grigorenko street, Knyazhiy Zaton street. Close to the Urlovskaya street, Zdolbunovskaya street, Trostyanetskaya street, Bazhana street, Pchilki street, Kharkovskoe shosse, Avenue of Heroes of Stalingrad and Malinovskaya street on the Obolon', Poznyaky, Osokorky, Kharkovsky, Bereznyaky, Rusanovka microdistricts. We do not use a syringe with the injection of anesthesia! Specialists carry out all procedures for children and adults - under painless and high-quality computer anesthesia - absolute comfort during a visit to our non-governmental and rated first dental clinics closest to you! For our visitors who are allergic to local analgesics, or are very afraid of any procedures at the dentist - we are pleased to offer the service of treatment in a state of medication sleep (in everyday life - under anesthesia). Our centers in Obolonsky and Darnitsky districts are licensed to carry out such manipulations, there are 2 anesthesiologists in the staff at all times. You sleep peacefully while our specialists treat their teeth. An hour after such a general sedation, you may return to daily affairs. 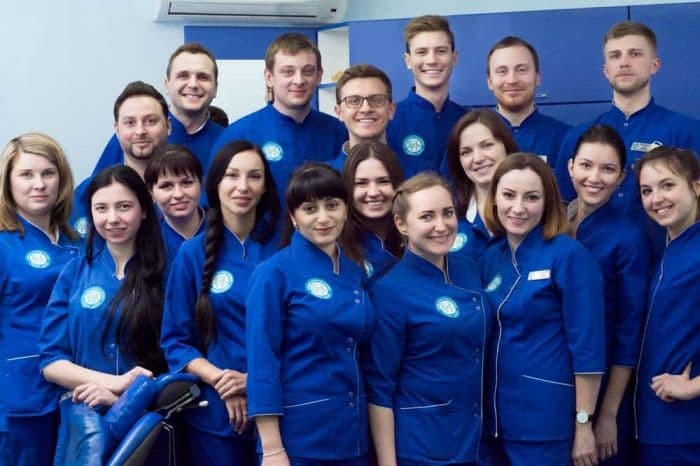 Our dental clinics are equipped with microscopes, laser devices, digital X-rays - a computer tomograph, as well as many other technologies with which only a few private dental centers in Ukraine are equipped. However, the most valuable aspect in our work - are the best dentists with excellent grades of visitors, and those who have completed internships at well-known medical centers and hospitals in the USA and Europe. You will get the initial good impressions at once during the first phone call - the administrators and all the staff have learned and successfully apply the advanced communication and customer service management system in practice. In the photo - our polite administrators are always welcome! Believe me – a visit to a good dentist on a convenient working schedule for dental treatment has never been so comfortable and pleasant! The main award for our work is the smile of clients! Addresses and landmarks so that it is more convenient to find the best dental VIP clinics for adult – in Kiev in Obolonskyi and Darnitskyi districts near the Pchilki street, Kharkovskoe shosse, Avenue of Heroes of Stalingrad, Malinovskaya street. Close to the Minskaya, Kharkovskyi, Bereznyaky, Poznyaky, Osokorky, Rusanovka residential areas. Near the metro stations Osokorky, Poznyaky, Levoberezhnaya, Darnitsa, Chernihivska, Minska, Obolon', Heroes of Dnepr. All days from 8:00 to 21:00, seven days a week. Our motto - "Dentist and I" - all the best for clients! Sign up for the nearest first city dental clinic Lumi-Dent for a free consultation!